The Midwest Clinic - RELAX DAMMIT! Clinic Synopsis: A discussion of relaxation as it applies to wind instrument performance. Concepts, techniques, and exercises (with and without notes) to assist players of all levels achieve a more natural, relaxed approach to their instruments. The discussion will be as general as possible--but be forewarned: there will be a trombone-bias! Materials to be drawn from the teachings of Emory Remington, Matty Shiner, Moshe Feldenkrais, and Jim Pugh. 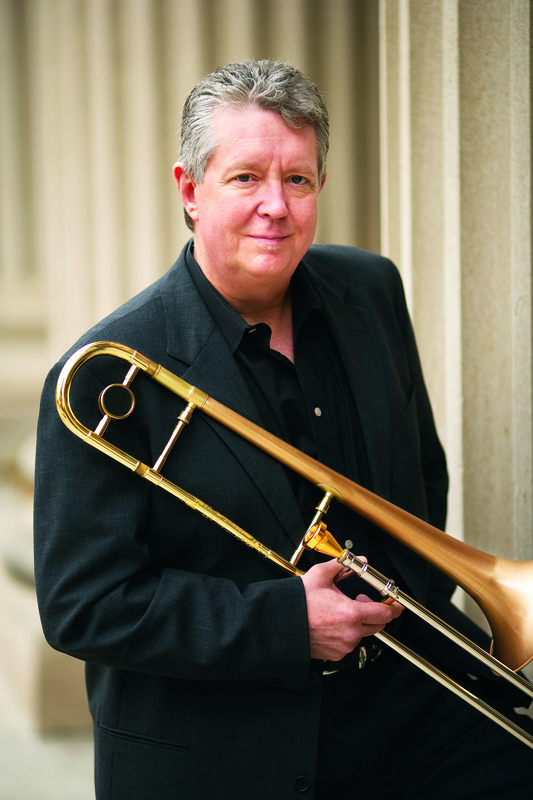 Clinician Biographical Information Jim Pugh is a distinguished trombonist, composer, and educator. The inspiring virtuosity and wonderful versatility he has demonstrated during the course of his career has caused Jim to be often honored as the "musician's musician". Whether he is performing as a concerto soloist in a symphonic setting, recording and touring with legendary artists in the fields of classical, jazz, & rock, or bringing forth his own exciting new compositions that expand the role of brass in contemporary music, his creativity knows no boundaries. Jim is professor of jazz studies (trombone and composition/arranging) at the University of Illinois at Urbana-Champaign.